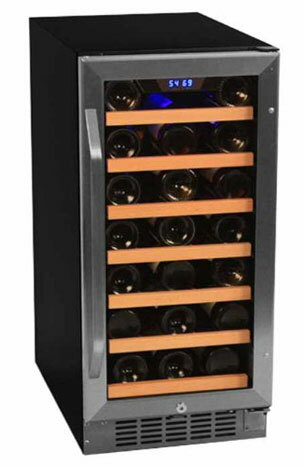 Wine Cellar Cooler - compare hundreds of wine cooler refrigerators. First of all, storing a couple of bottles of wine in a regular fridge is no problem if you are only an occasional wine drinker, but once you start to appreciate the flavor, bouquet, color, and quality of fine wine you will realize that you need to consider correct storage and temperature maintenance. Maybe, you have already gathered a few bottles in wine racks in the coolest part of your home, and are beginning to think about a wine cellar, it’s time to contemplate purchasing two appliances that many wine enthusiasts consider indispensable: a wine cooler and a wine cellar cooling unit. But, before investing your money into wine cooling you should first thoroughly read our wine cooler reviews to get your perfect match. Once your wine collection has progressed beyond half a dozen bottles it becomes impractical to keep it in the refrigerator. Not only does it take up too much of the space required for perishable food and other cold drinks, it’s also far from ideal because domestic refrigerators typically have only one temperature control, meaning that everything inside it is maintained at the same temperature. Additionally, wines have varying optimum storage temperatures. Our wine cooler reviews will provide a good guide to the features you want to see in the best wine coolers, but here is an overview to get you started. Before you can decide on what will be the best wine refrigerator for you, you need to consider exactly where you are going to put it. This may constrain what size and shape it can be. A space between kitchen cabinets is ideal for a tall, narrow unit, but it may need to be smaller in order to sit on a kitchen counter or fit underneath it. Air needs to circulate around the vents at the back of the unit, so make allowances for that in your space provision. The best wine cooler location is in your living area, where you have enough space for a free-standing unit. Just because one wine cooler is bigger than another on the outside doesn’t necessarily mean that it will hold a greater number of bottles. The capacity should be listed in the manufacturer’s features guide, and wine refrigerator reviews will compare the capacity of different coolers. Also remember that not all wine bottles are the same size, and the best wine coolers will be able to handle sizes other than the standard 750ml (25.4 oz) bottles. This is achieved by having shelves or racks which are sturdy enough to slide in and out of adjustable positions. Ideal storage and serving temperatures are not identical for red and white wines. Wine fridge reviews should give lower scores to coolers which compromise with a single temperature control. Best results are achieved with at least two chilling zones with separate controls, allowing white wines to be stored at a slightly lower temperature than the reds. Glass doors are standard for dedicated wine coolers, allowing for an attractive permanent display of your wine collection and enabling you to choose your bottle before you open the door, minimizing temperature disturbance. However, normal glass lets in UV rays, which can damage your valuable wine. Check out wine coolers reviews to steer you towards a cooler with UV protective glass, and possibly the extra insulation provided by thermopane glass (also known as ‘double glazing’). Normal domestic refrigerators have noisy moving parts. Cooling is accomplished by means of a motorized compressor, coils and liquid coolants. Also, the compressor is loud when operating, and when it switches off it makes the fridge, and everything in it, vibrate and rattle. This doesn’t matter too much with a carton of milk, but it will interfere with your wine’s progress towards maturity and settlement of any sediment. So, look for the important word ‘thermoelectric’ in wine cooler reviews. Most of all, a silent, motionless thermoelectric cooling system will protect your wine from vibration and allow you to savor it in tranquility. The exterior appearance of your wine cooler may seem to be of minor importance, but it should not be overlooked. Your wine cooler is a statement about your taste, a proclamation that you are sincere about wine appreciation. 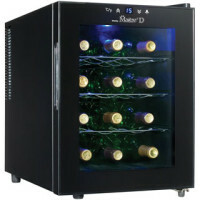 So, consult our wine refrigerator reviews yet again, this time to tick the boxes for good looks. You should be able to choose an exterior surface in the silver/gray/black range with no problems, but if you are looking for something special like bright red or real wood you may find that your choice of models is more limited. Don’t forget to check the interior color as well – some reviewers forget to mention this – and the best wine coolers will have interior lighting which is effective but not too bright, so that your wine collection can be displayed to full advantage without being damaged. If you buy the best wine cooler it will last a long time. It may have to see you through a kitchen renovation, or even moving house, so if you have to relocate your cooler you may be glad that you chose one with a reversible door. A locking door provides extra security against exploring children or opportunist thieves. Finally, temperature controls on a digital touch panel combine ease of use with a more stylish appearance. After progressing from wine racks behind the couch to not just any old cooler but the best wine refrigerator available, you may one day find that even this is not enough. If you are lucky enough to have a cool area underneath the house (maybe a crawl space that doesn’t need to accommodate a winter heating system) or an actual cellar, it won’t be too long before you are considering establishing your very own wine cellar.  Consequently, after that you will need to check out wine cellar cooling units. It is not a good idea to just buy a standard room air conditioning system for use in your wine cellar. Because, normal domestic air conditioners are unable to handle cooling down to the 57- 65° F (14 -18° C) required for ideal wine storage. Too high a temperature will irreparably damage your wine, while too low a temperature will slow down the process of maturation. Wine cellar cooling units are actually refrigeration units rather than being air conditioners. They cool much more slowly than air conditioners do, which means that the air in the cellar will not dry out and correct levels of humidity are maintained. Wine bottle storage requires a humidity level of between 50% and 70%. Because, anything lower and wine bottle corks will dry out. Furthermore, anything higher and mold is likely to form. Mostly, standard domestic air conditioners create a relative humidity of around 30%, which is unacceptable for wine. In conclusion, you will get the best result by reading wine cellar cooling units reviews to determine which dedicated cooling system is best suited to your cellar. So, there are three main types of wine cellar cooling systems: through-the-wall systems, ducted systems and split systems. First of all, the limited cooling capacity of this kind of self-contained cooling system means that it is best for small cellars. It’s mounted through the wall, connecting with the outside of the building or with another well- ventilated space beneath the house. The cooling unit can interfere with the placement of wine racking unless you give some careful thought to its positioning. They can be installed by the home handyman. In addition, a ducted cooling system could be used in a larger cellar. The installation offers more flexibility, because the unit containing the evaporator, fan and condenser can be situated either inside or outside the cellar. Ducts handle the movement of fresh air and exhaust air. Finally, split system wine cellar coolers are even more flexible, and perfect for situations which do not lend themselves to ducting. The system consists of a condensing unit (which can be placed outdoors or in a garage) and a wall-mounted evaporator inside the cellar. Air is cooled as it circulates across the coils of the evaporator, and does not need to leave the cellar. Yet, the downside is that this type of wine cellar cooling unit cannot be installed by a home handyman, but only by a qualified refrigeration technician. With so many features to consider when making your decision about the best wine cooler and the best wine cellar cooling unit, it’s clear that wine cooler reviews offer a vital guide to the otherwise inexperienced purchaser. Start your search for a new wine cooler or cellar cooling unit. Search for wine coolers or add your own review of a product you already own.